The process of recovering from anxiety and depersonalization is never easy. It has many ups and downs along the way and is never a smooth movement forward. Sometimes for every two steps forward, we get pushed back one. Many factors determine the recovery process. Things such as whether or not we are getting the support we need or whether we are able to minimize our triggers matter greatly. It could also be a case of finding the right medication without any awful side effects. However, there is one factor that probably outweighs all of them: ATTITUDE. Nothing shapes and determines the eventual path to recovery more than the attitude we embrace during times of anxiety. Without the right attitude, even the best medication or therapy won’t help get someone out of the anxiety hole. Attitude is simple. 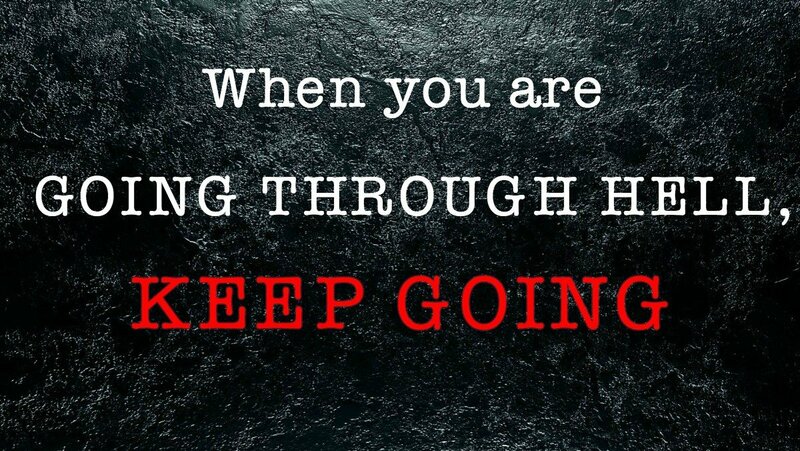 It is a mindset, a belief that we hold onto regardless of our state of affliction. 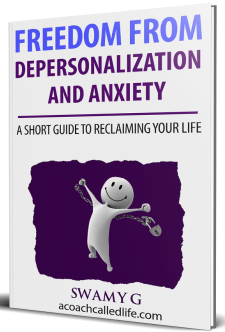 When I was in the throes of anxiety and depersonalization, I would get so panicked and afraid that I thought I was going crazy and that I would end up in the psychiatric ward. Though this never happened, I remember feeling extremely scared to even sit and perform my job. At times, I seriously wanted to just run away and not to show up at work at all. Yet, I still got up and went to work. Every damn day! Despite the tremendous amount of fear and dread I felt day in and day out for months, I managed to show up at work and continued connecting with life and the things that I valued. Whenever my thoughts screamed at me to find a safe place to hide, I’d just sit still, giving those thoughts their space to scream but never acting on them. This doesn’t mean that I did not get bogged or beaten down. I did, all the time! It was exhausting, but I kept showing up. That was my attitude. My mindset was simple: the more I hid from my fears, the bigger they were going to get. By accepting the fear and moving forward, I eventually got to a place where the fear had lost its effect on me. Even now, from time to time, I find myself in a place of high anxiety or feeling unreal and depersonalized. But rather than losing my mind with unnecessary worry, my attitude dictates that I keep walking at whatever pace I can manage. Attitude doesn’t mean pretension. You don’t have to walk around saying “No fear!” when you can barely pull yourself together. It means that you acknowledge the fear and choose to connect with life instead of letting the fear cage you. There are things in life that we can’t control. We don’t know when a relationship will end. We can’t be sure about the financial security of our retirement account. We can’t even predict the amount of anxiety we are going to feel tomorrow or the day after. What we do have control over is how we react to a situation after it shows up. We may not have much control over a panic attack, but we have control over whether or not to get up and keep going after having one. My attitude was never about fighting or winning. I knew that fighting only brought more stress to my already exhausted body and mind. It was all about resilience. It was all about getting up, dusting myself off after the anxiety storm had passed through me, and continuing to walk towards my daily goals and activities. I never pushed myself to be overtly positive or to deceive myself by saying everything was great when it was clearly not the case. That would have been self-deception. I just knew deep in my heart that eventually, the dark days would give way to light. Just as winter gives way to spring and then summer, so will the days of anxiety, panic, dread, depersonalization and derealization give way to days of relaxation and peace from nervous suffering. On the other hand, if our attitude is such that we feel there’s no point to keep showing up, or there’s no worth in connecting with life during times of heavy anxiety, then we will be stuck living indoors not wanting to leave our bed. If we convince ourselves that we are incapable of performing even simple day to day tasks because we are afraid to leave our safe space then we would feel powerless and feel stuck in life. Not only will we lose our chance at recovery, but we will also lose the chance to see how much strength and resilience we have inside of us. All it takes is a change in attitude. There’s no demand to put on a fake laugh and pretend you are tough and strong and that nothing can shake you. That stack of cards would easily crumble. Instead, embrace an attitude of acceptance, resilience, and walking alongside your pain, be it anxiety, depression, or any other mental illness. Keep walking towards the values, hopes, and goals in your life, however big or small they may be, despite the day to day adversities you may face on your path. It’s all the same, no matter how you got it.